What do panic attacks feel like? How does it affect you? Here are 10 "truths" about panic attacks that you may recognize - with tips on how to survive one. Whether you're alone in your room, surrounded by a crowd, or just going through your typical day, it can hit you like a sudden storm. Your mind starts to race, your heart begins to pound, and you feel dizzy, shaky, and numb all at once. You struggle through the fear, fighting away the dread as you try to keep your thoughts together. And all you want, all you long for, is to just… breathe. What you've just gone through is a panic attack, and we here at Anxiety.org want to make sure that our visitors avoid, or at least are prepared for, debilitating situations like the one described above. We do this in several ways. First, we strive to deliver the most beneficial insights from renowned experts and specialists in the field of anxiety and mental health. Second, our staff works diligently to bring you information by combing the most up-to-date research materials and sharing their findings on noteworthy topics meant to aid you in finding your cure for anxiety. 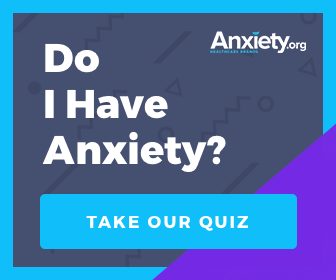 Lastly, we provide an outlet for our Anxiety.org community, meaning readers like you, to share their personal stories and offer their support. It's from this last resource that we offer some personal perspectives into understanding panic attacks and how to get through them. "You lose complete control of your mind and body. Heart pounding, hands shaking, heart beating out of your chest. Scared! But, because most people do not understand. You have to continue to function. While you are in a fog, you function." "Instant fear of dying! Like you wanna run. Everything you are looking at looks like it's running together. Heart racing, short of breath. Feels like your in a bubble, you can see out but can't be seen." "Hard to explain. Everyone's different. But I will tell you something truthfully. They cannot harm you and you are stronger than them!" "For me, not understanding what was happening created a more desperate panic in me. I really did research and did talk to a therapist and realized the more I learned about them, the less the servarity [sic]… When I feel one coming on I just don't panic, I just go with it and stay calm and it goes away." "Ummmm I don't have a social life. It's kind of hard to hang out with people when I never know how I'm going to feel from day to day and then feel incredibly awkward once I am around people"
"Just the thought of going out in public gets me going sometimes. I wouldn't wish these feelings upon anyone. I have panic attacks out of no where, sitting at home reading a book or watching TV, "bam" it rears it's ugly face!" "I'm pretty much a hermit. I'm fine most of the time but on those days where I could really use a friend, it hurts deeply to be so alone." After reading about the emotional rollercoaster panic attacks can cause, and learning about the significant effects they have on everyday life, we at Anxiety.org wondered how we could possibly help our readers through these difficult experiences. Although we knew extensive research on your behalf, or asking a knowledgeable expert for guidance, would offer a valuable amount of information, we felt that the best source for advice would come from first-hand experience. So, we again turned to the Anxiety.org community to share their stories and advice about what they do when experiencing a panic attack. "Isolate yourself from distracting surroundings/people and find a nice, quiet place to shut your eyes and focus on your breathing. I find this difficult to do right away after it begins, so I usually pace or go for a walk until I've tired myself out and then do this. Keep repeating to yourself that you've been through this before, survived and can do it again. And make yourself BELIEVE IT. Once you believe it, you start to realize that you can get through it like any other time. That you will survive. Other tips include shutting the lights off, lighting some candles and taking a warm bath once you feel yourself getting anxious. Drink lots of water and chamomile tea. And practice yoga regularly to help with the controlled breathing!" "I learned relaxation techniques from a CD given to me by a psychologist. I fortunately "grew out" of them after high school. By adulthood I found the right perscription for me for GAD. Xanax (.5mg) is great for anxious triggers like traveling." "Once you know it won't kill you it makes it easier to deal with." Hopefully these insights have given you a better understanding of the gravity of panic attacks and the methods that can be used to deal with them. If you are interested in learning more about what readers like you have to say, please follow us on Facebook or Twitter.